Informationen: "Sterilization of Medical Supplies by Steam"
In a hospital or clinic it is necessary that all equipment and materials used for treating patients are absolutely safe for use: the chance for spreading of diseases should be kept as small as possible. Cleaning, disinfection and sterilization are important methods in this battle against this ever present threat. Especially since the fatal disease AIDS became so powerful and spread world wide, the demand for proper procedures for infection control gained momentum enormously. Diseases such as Hepatitis B, known to be transmitted through contaminated surgical instruments, stimulated the need for stricter guidelines for disinfection and sterilization. 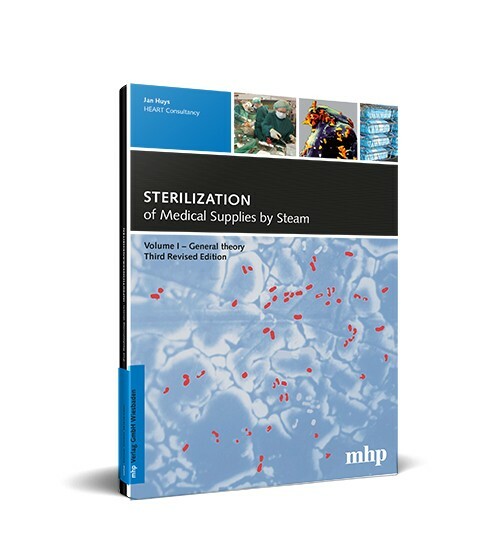 This book focuses on the most common and most safe method used for sterilization in the Central Sterile Service Departments in healthcare institutions: sterilization by pressurised high temperature steam. A first major step to improvement of sterile supply is the training of all personnel involved (technicians, staff and users). Moreover, in the recently published European standards on sterilization, education is required of everybody involved in sterilization, whether it concerns the manufacturer of the sterilizing equipment or the technician maintaining or using it. This series of books provides a foundation needed to fulfil this requirement. Originally intended to educate technical service personnel in remote health institutions, it has grown into a textbook that can be used by anyone interested in sterilization. The World Forum for Hospital Sterile Supply (WFHSS) is pleased to recommend the book to all their members and all others involved in sterilization practices. Weiterführende Links zu "Sterilization of Medical Supplies by Steam"